$125. 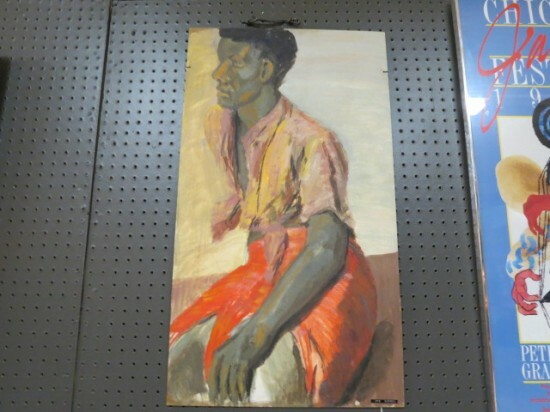 Vintage mid century modern oil painting on board of an African man, c. 1960. Man has gold tie shirt, red and orange sarong skirt. Cream and brown background. Marked not for sale curren on the bottom. Possibly the artist. Perfect for your gallery wall. Excellent condition. 18in wide, 32in tall.